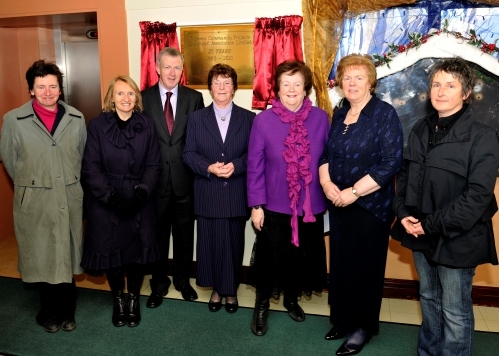 Women’s Community Projects (Mullingar) Association was established in 1985 and has a proud record of achievement and service to the local community in particular to women, children and their families.. Finbar Breslin was first appointed to Mullingar as parish sister over 25 years ago and she immediately set to work creating a supportive environment for women to meet, build on their confidences and acquire basic home and craft skills. Women had a very different role in Irish society at the time and Sr. Finbar alongside a goup of local women working on a voluntary basis were instrumental in setting up and driving the agenda to create a local women’s project. They worked to progress incremental change and to develop a centre for women that would address barriers around their caring roles and responsibilities by providing both training opportunities and childcare supports. Over the years the centre has developed a range of training programmes that has provided women with the skills and supports and enabled them to secure employment or continued education. The Project continues to expand, modify and diversify its activities, in line with the needs of women in the local Community. 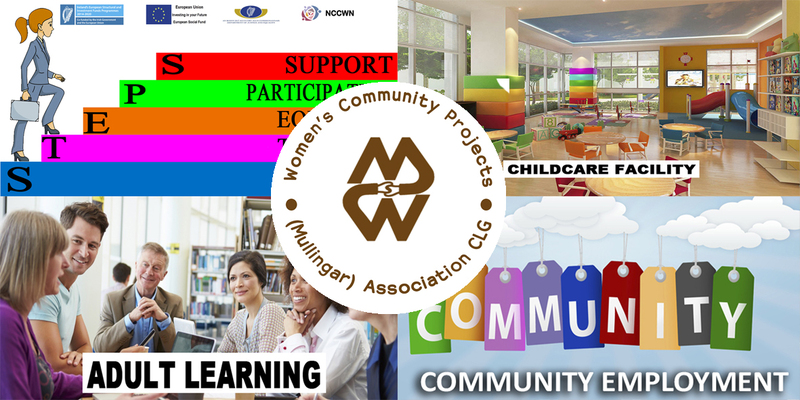 Today Women’s Community Projects provides a range of integrated support services to families and in particular to women and children. It is now Mullingar’s’ largest training and development centre and is also home to one of the biggest childcare facilities in the country. Education and Training opportunities from basic level to accredited – QQI Level 3 to 6. These include a Community and Adult Education programme, a Back to Education Initiative, a FÁS Local Training Initiative and an Equality for Women Measure training programme. A comprehensive Childcare facility catering for children from 2 yrs – 12 years. Mullingar Homecare Service – providing flexible and family friendly employment opportunities to women in domestic/ industrial cleaning, catering and ironing. Counselling Service – providing a free confidential service to the local community in particular to victims of domestic violence. All aspects of the Project, have afforded women and their families every opportunity to learn and progress, which in turn has allowed for better quality lives and lifestyles. To provide learning, and training experiences, which address identified needs. To provide childcare facilities for attendees of the projects educational activities, for parents attending other Community Education Programmes and for families in the community who have been identified as in need of this support. To promote equality and progression of all women. To deliver all our services with a professional and client centred approach. To work closely with state agencies and make effective use of allocated resources.